1 DC Female to 2 DC Male power splitter cable. Very useful cable in splitting power from one power supply to two cameras. 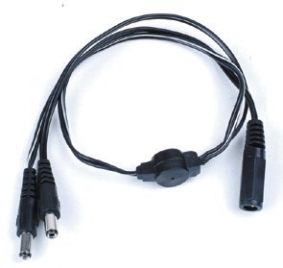 The DC connectors on this cable are standard 2.1mm for professional CCTV products. This DC splitter cable is about 5 inches in length.